Summer 2004 . . . . Here are some recent jigs that I've built, which have proven quite useful. Here is a modification I made to my old fingerboard taper jig --- my old one just had some bent aluminum clamps, which didn't work too well. 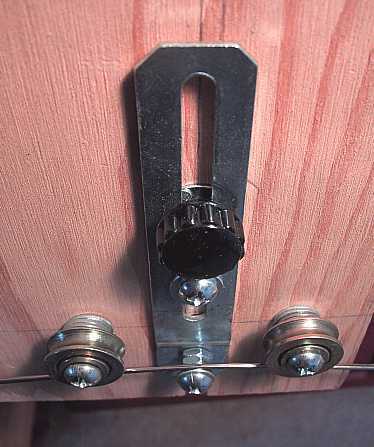 So, I replaced them with a couple of toggle clamps. 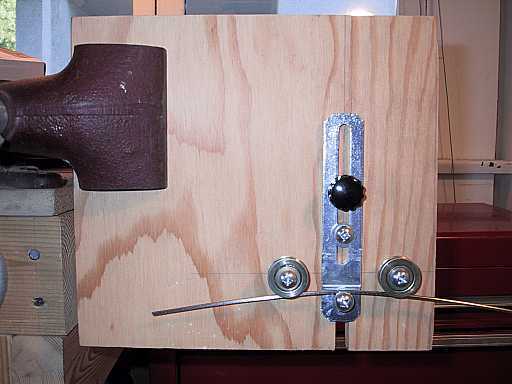 Below: a home-made fret bender. It's made of a couple of wheels for sliding glass doors, a slotted aluminum strip I found (I forget what it was for), and some bolts, nuts, and washers. I can adjust the amount of bend by raising or lowering the aluminum strip. The fret tang rides between the bolt head and the nut. It works great!!! I did not build this jig, but I have found it so helpful that I just had to include it on this page! 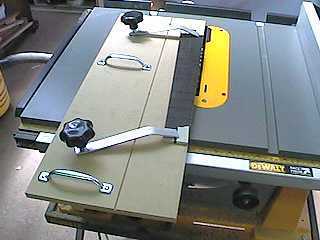 It's a Jasper circle jig base for use with my Porter Cable plunge router. It can be used with many different routers. 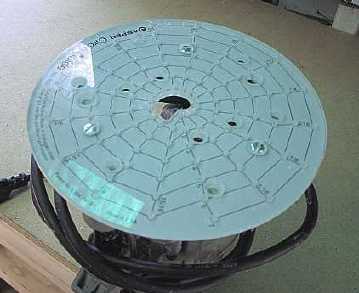 This one is the Model 400, which can rout circles from 1" to 7-1/2"; it has pivot holes in 1/16" increments. I got mine at Woodcraft. MY MOST EXCITING NEW JIG . 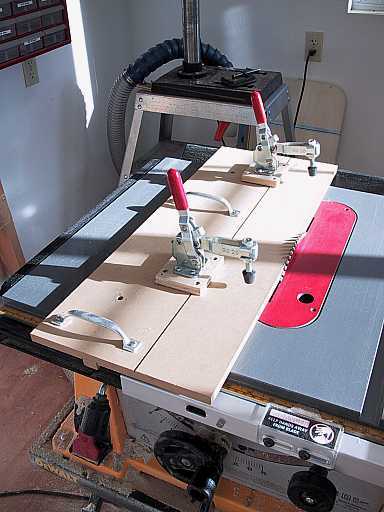 . . . . a binding router jig !! !